Mr Barry made reference to the free “high quality brochure” that outlines the different routes on the tour, which can be walked or driven and the interpretative panels on display at each site. He further went on to state, “To make the tours a reality, Avondhu Blackwater Partnership teamed up with Fáilte Ireland, an initiative in which I was glad to be involved, to offer a new high quality tour guide training course aimed at people who have a general interest in local heritage and history and who would like to learn more about the tourism industry and, importantly, how to guide groups in a professional manner in local areas. They recognised that the right local people are the key to unlocking an area’s tourism potential. The training was free of charge and the tours are already proving a hit with visitors from as far away as New Zealand. In essence, the local community is taking ownership of the local tourism”. 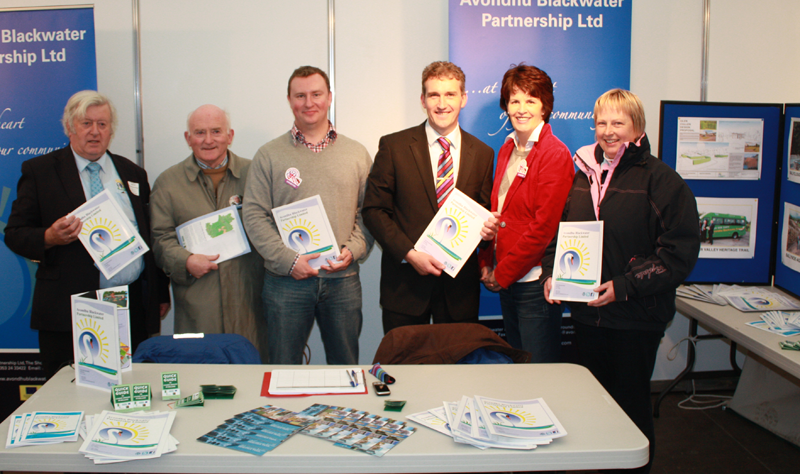 Responding to the comments by Mr. Barry, Valerie Murphy CEO of Avondhu Blackwater Partnership, speaking this week said, “we met Tom at the Ploughing Championships and showed him the work we are doing but to have this praised in the Dail Chamber the next day was a wonderful testament from him. It definitely helps when the work you do gets praised at that level”.